Miami and the Keys are the cultural and geographical gateways to the United States; where Latin America gracefully blends into North America, and land embraces the sea. 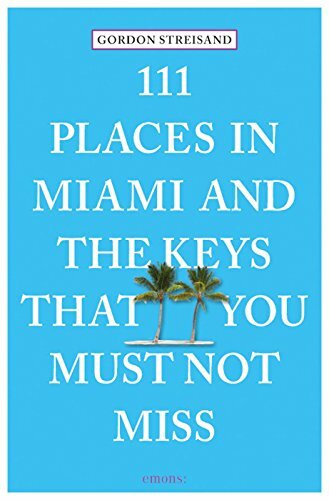 This unusual guide leads you along the fulcrum that is Miami and the Keys, laden with world-class architecture, sandy beaches, pristine waters, nightclubs, and trendy hotels. Beneath the well-polished surface lies a history and culture that strays far from the conventional, bubbling up through unexpected places, like a coral fortress built for a spurned lover, a divey laundromat that serves the sweetest café con leche you’ve ever had, or an enclave of houses built on stilts in the midst of the ocean. Lose yourself in a glass rainforest. Glide over the mysterious waters of the Everglades. Visit your own desert island. Drink the sweet nectar of the Cuban coffee gods. Venture into the “other” Miami, beyond the glitz and glamor, steeped in natural beauty and deep-seeded tradition. See why Ernest Hemingway called the Keys his home.